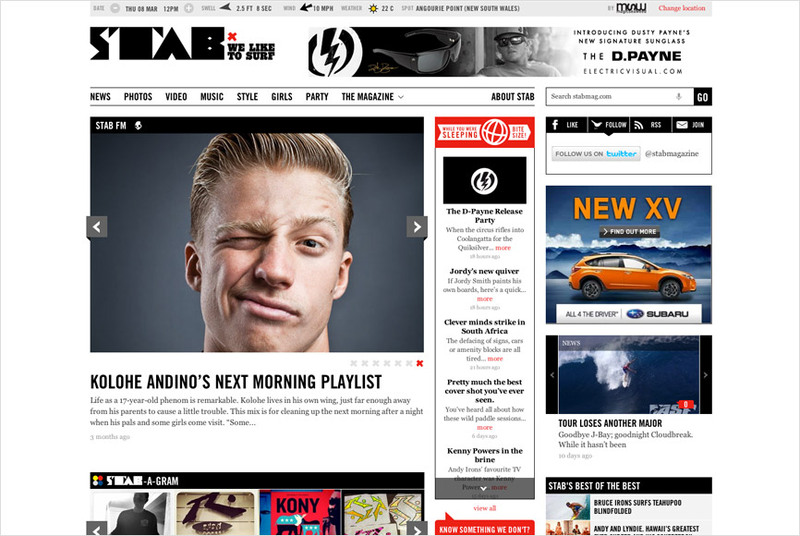 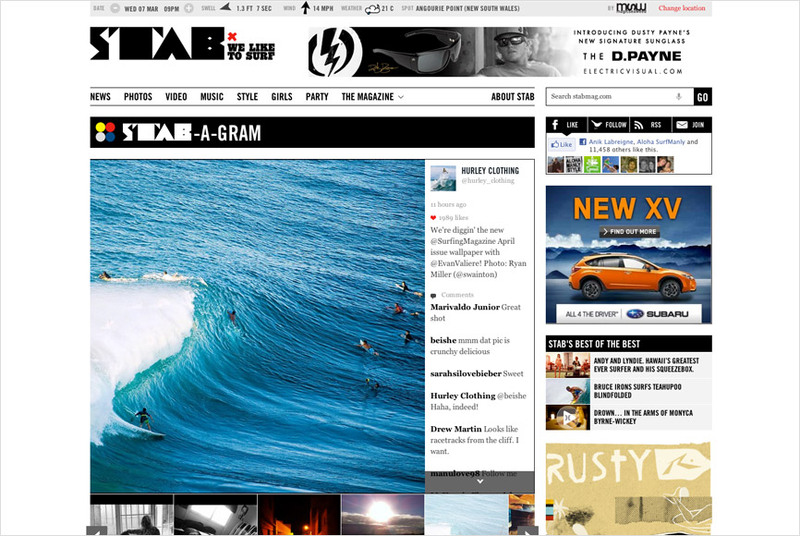 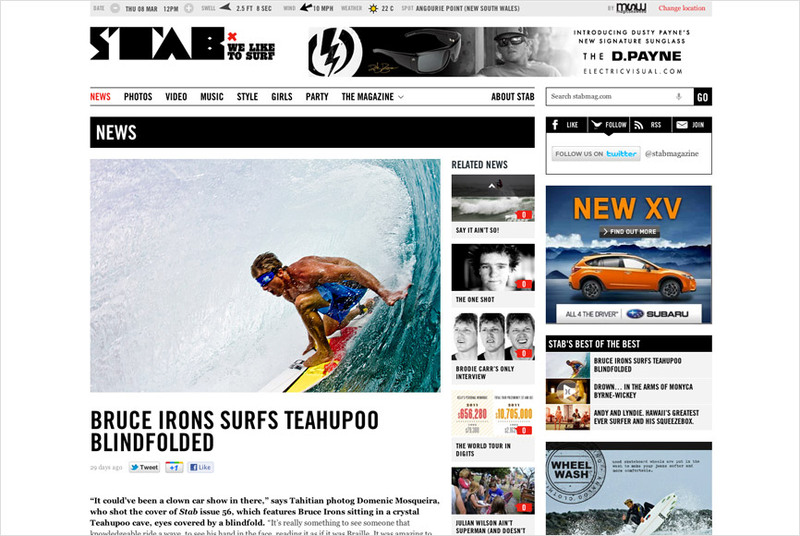 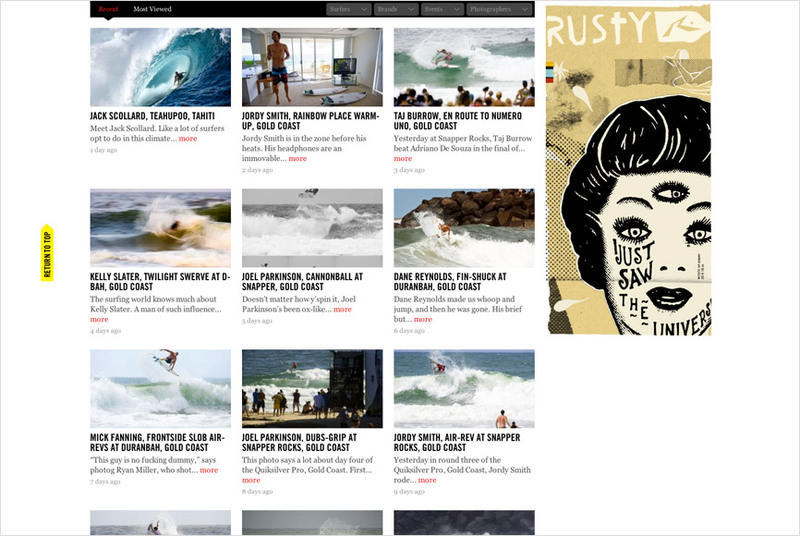 Very Livingston has redesigned and built the online surf portal for STAB Magazine. 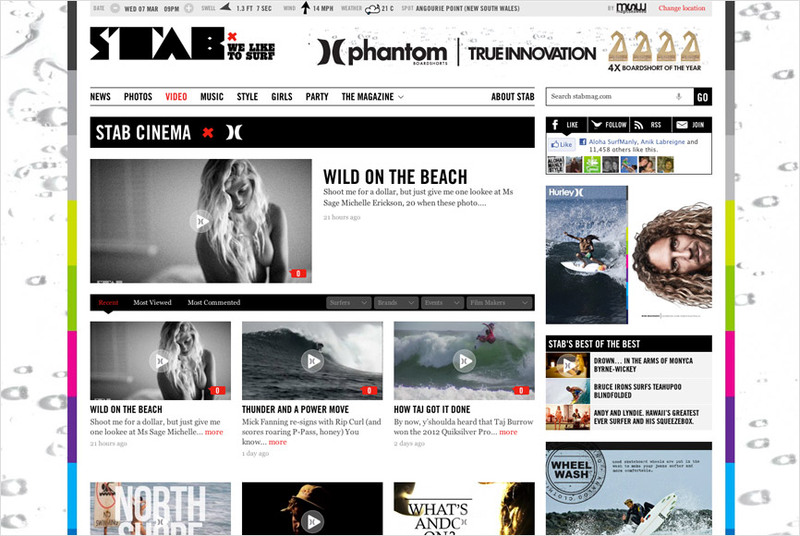 As well as a completely fresh look and feel, the overhaul places greater emphasis on sharable video content, enhanced social-media integration, and most importantly a range of unique options for on-site brand partnerships. 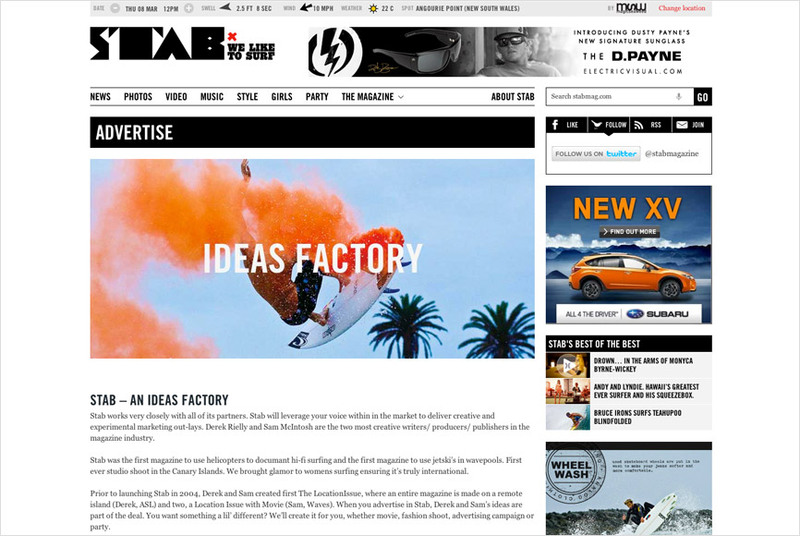 STAB have built a reputation for pushing boundaries and continually breathing new life into the surf industry, our aim was to deliver an online solution which allows them to keep doing that in as many ways as possible. 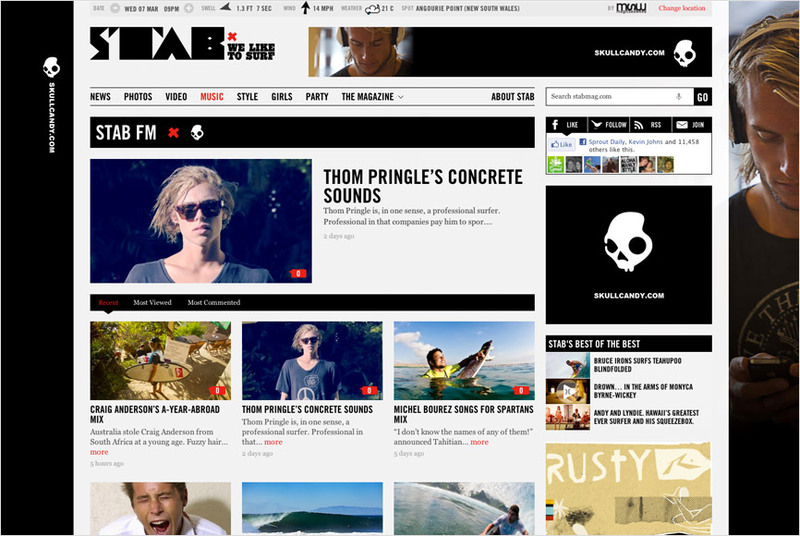 STAB’s audience is young, influential and hungry for great content, the site aims to not only deliver that content in a clean and robust way, but also allow word to spread quickly through the most appropriate channels.